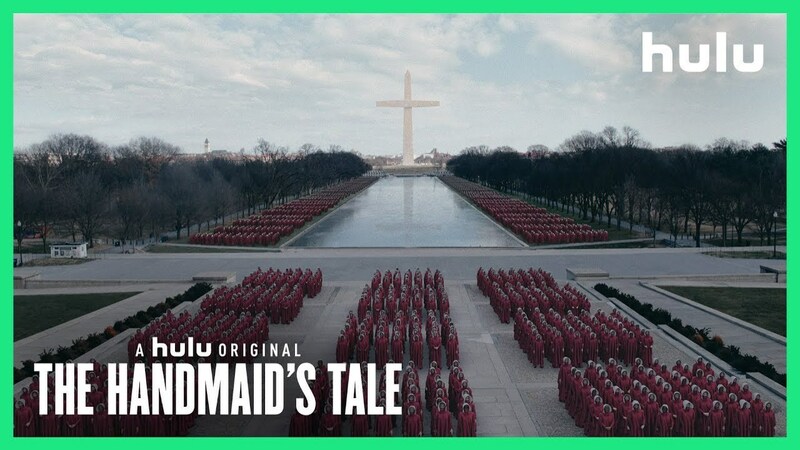 “Today, more women will go to work than ever before in our country’s history,” a voice-over says as the commercial shows crowds of handmaids getting ready for work. The scene, which starts out in an eerily optimistic light, mimics Reagan’s ad. The commercial shows a scene depicting the Washington Monument as a giant cross, with “WAKE UP AMERICA. MORNING’S OVER.” spelled across the screen in large red letters.